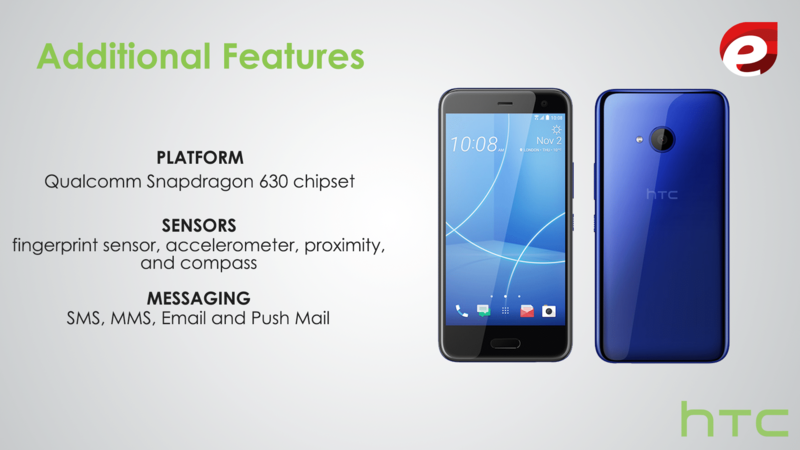 HTC U11 Life has a split and special personality. It is an Android One phone which is launching with Android Oreo. It will come with Vanilla Android.In the US, it will launch with Nougat and HTC sense, but after one month it will launch under the banner of Android Oreo. HTC U11 Life is expected to release in this very month i.e November 2017 so get ready to buy this new HTC U11 phone, which has outstanding feature. HTC U 11 is fast, intuitive and attractive. It gives you one-handed convenience and power to do more work. This phone would be available soon with lots of innovations. It would be available in three colors which are Brilliant Black, Sapphire Blue, and Ice White, so decide quickly which color do you want. It would cost around 400 EUR. It has a polycarbonate frame and one of the superb features of HTC U11 Life is that it is waterproofing and in addition to this, it has a very attractive design. It has wide dimensions of 149.1 x 72.9 x 8.1 mm ( 5.87 x 2.87 x 0.32 in). 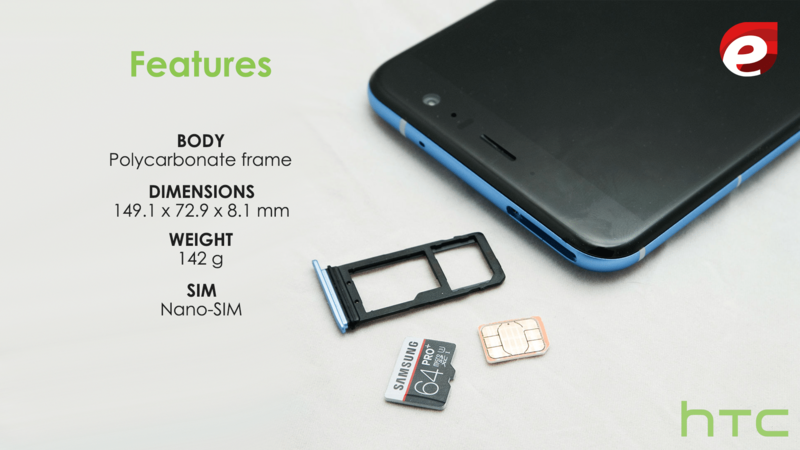 Its weight is 142 g.
It can operate a Nano-SIM. Its display is bright and astonishing and the viewing angles are impressive and you would not face any difficulty regarding brightness while using this phone in bright daylight. It has a screen of 5.2 inches and it is multitouch. It has a resolution of 1080 x 1920 pixels. It hs a super LCD capacitive touchscreen with 16M colors. It has a Corning Gorilla Glass protection on the front side and it has acrylic glass protection on the back side. This phone is weather-resistant IP67 rating which can handle, sustain and maintain high-level performance efficiency in even rough weather i.e whether it is dust, rain or snow your phone will function efficiently as it was working before. It is water resistant up to 1 meter of water for up to 30 minutes and this is tested under controlled laboratory conditions. Edge Sense is also a fabulous feature by which you can use your phone even if you are wearing gloves. So, in cold and winter months, you can keep your gloves in your hand while the Edge Sense will enable you to use your phone. It is divided into two types of camera, one is the primary camera and another one is a secondary camera. Another outstanding feature of HTC U11 Life is that while switching from front and back camera you don’t have to use buttons or change your hand positions you only have to squeeze for switching between front and back camera. With HTC U11, you will love and admire all the memories which you have captured from this camera. Primary Camera is 16MP with 4K video recording and 16MP Selfie. It has an aperture of f/2.0, and it features include phase detection autofocus (PDAF) and LED flash. You can use this camera if you wanted to click pictures in ant darker place. Phase Detection Autofocus enables you to take photos with super fast focus speeds with reduced blur. 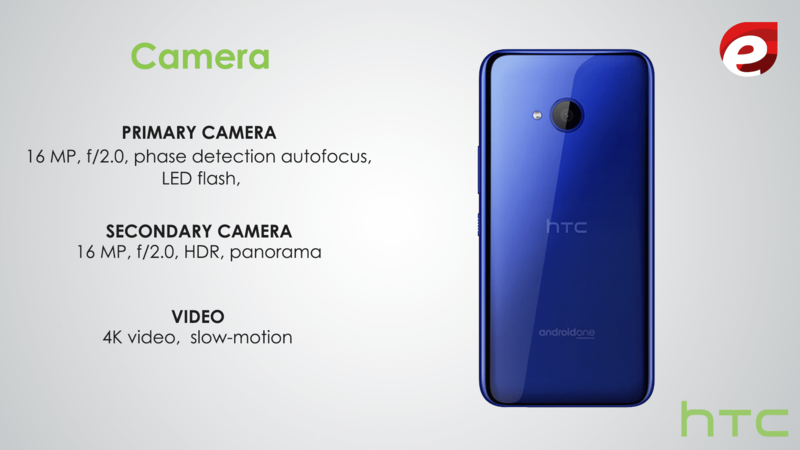 Secondary Camera is also 16 MP and it also has an aperture of f/2.0 and it features includes HDR and panorama. It can record a 4K video and also has the ability to record slow-motion video. It has 4GB RAM with 32GB storage. 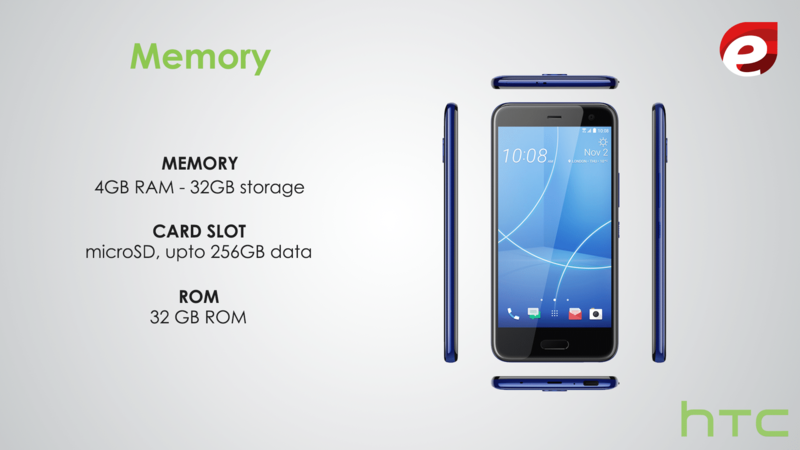 It has a microSD card slot which can store up to 256 GB data. It has 32 GB ROM. 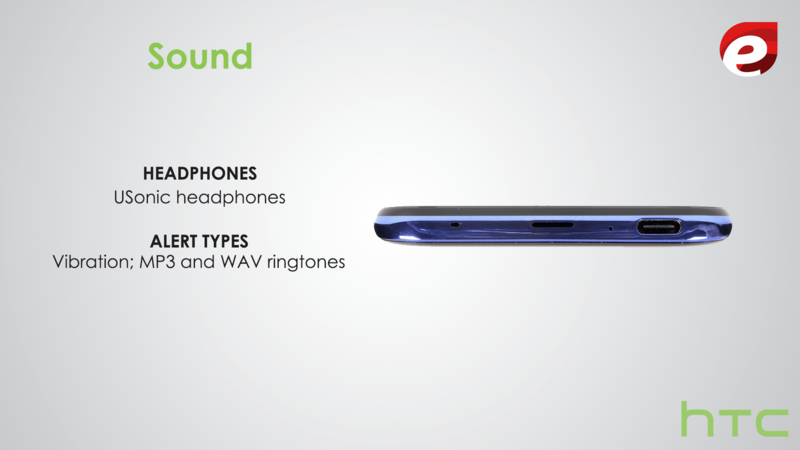 HTC U11 Life has USonic headphones in its box, from which we can listen to music of outstanding quality. The extremely pricey Google Pixel 2 does not come with headphones in its box but HTC does come with headphones and not any ordinary headphones perhaps these are Usonic headphones. These headphones can do Active Noise Cancellation, so you get fully indulge in the music, you don’t get distracted by your surroundings noise. Active Noice Cancellation works automatically by monitoring your surroundings sound levels and quickly adjusting to your level. So, you could entirely lose you in music. You can’t really get this type of level of attention to sound from another phone. We can get the sound of the notifications through vibration; MP3 and WAV ringtones. It has a prolonged battery of 2,600mAh. 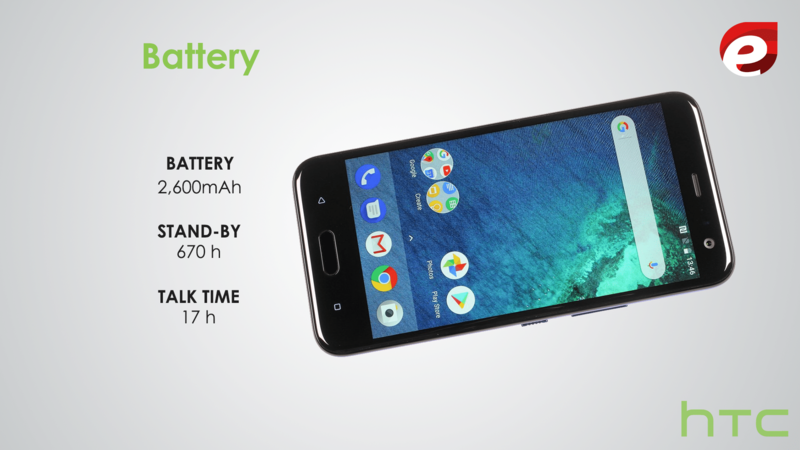 It has a standby time of 670 h.
It has a talk time of 17 h but battery life can vary by its usage and settings. The factors which contribute to reducing the battery includes over usage, environmental conditions, network connectivity, and many other factors. It has a Qualcomm Snapdragon 630 chipset/ processor. 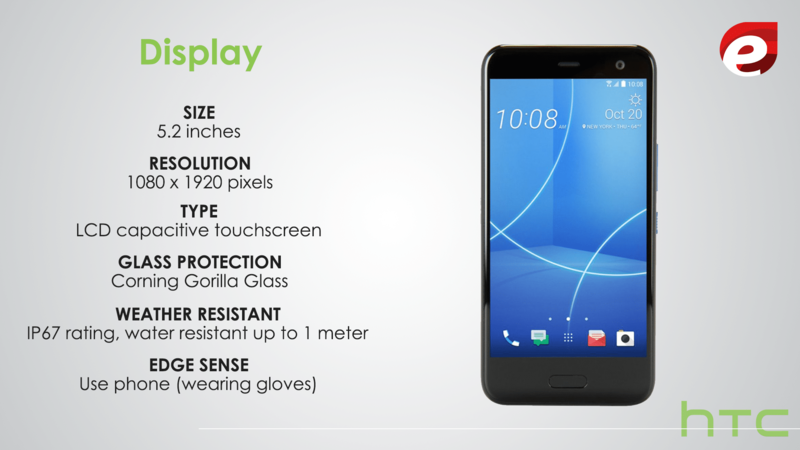 It has a fingerprint sensor, it also has an accelerometer, proximity, and compass. You can do messaging through SMS, MMS, Email and Push Mail. If you want any help or advice, that’s not a problem because HTC U11 Life has solved your this problem also by installing Google Assistant on your phone. You just have to squeeze it and ask any question which you need to know, it’s your own personal Google Assistant always ready to help you. In order to start this, you only have to click “ Ok Google”. The unnecessary applications have been uninstalled due to which it’s performance efficiency has been increased. Why HTC U11 is better than HTC 10? HTC U11 Life is better than HTC U10 because as compared to HTC 10 you get to enjoy more 2 hours video playback on HTC U11, also 20 hours more music playback on the loudspeaker, 14 hours more music playback on headphones and in addition to this 2 hours more web browsing time via Wi-Fi. Hence proved, HTC U11 is better than HTC U10 as HTC U11 gives you more increased performance efficiency. Huawei mate 10 pro with all the features, specifications & reviews.